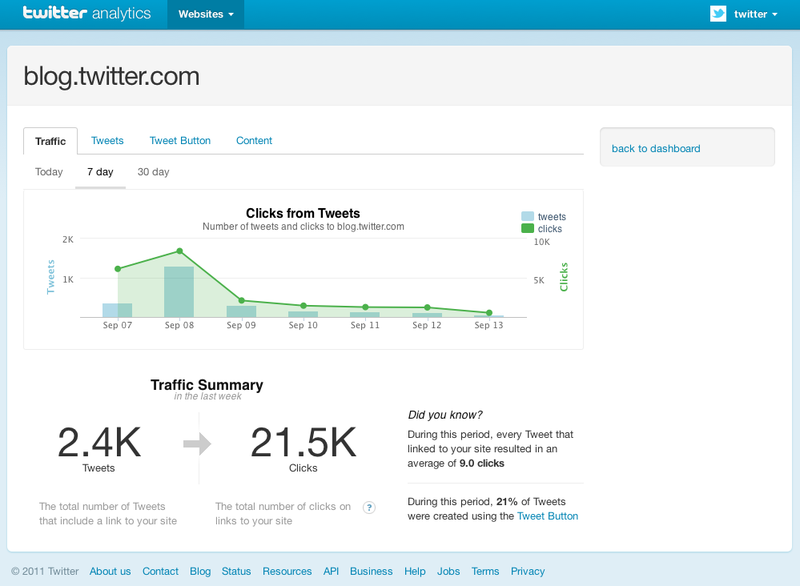 Now a web publisher can easily calculate the amount of web traffic received by him from Twitter. Twitter Web Analytics, a new tool launched, aids a web publisher to have certain idea about the information network for content distribution. This tool precisely helps a web publisher to have better inputs about his Twitter integrations. 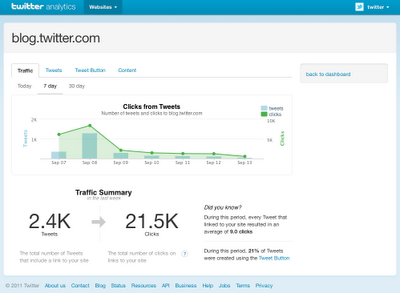 The tool is supported by BackType, the social analytics company purchased by Twitter in July. By this tool a web publisher can easily understand content shared on Twitter, traffic towards their site from Twitter and the performance of Tweet Buttons. This free tool at present is in beta. Soon an API would also be released for developers as well.